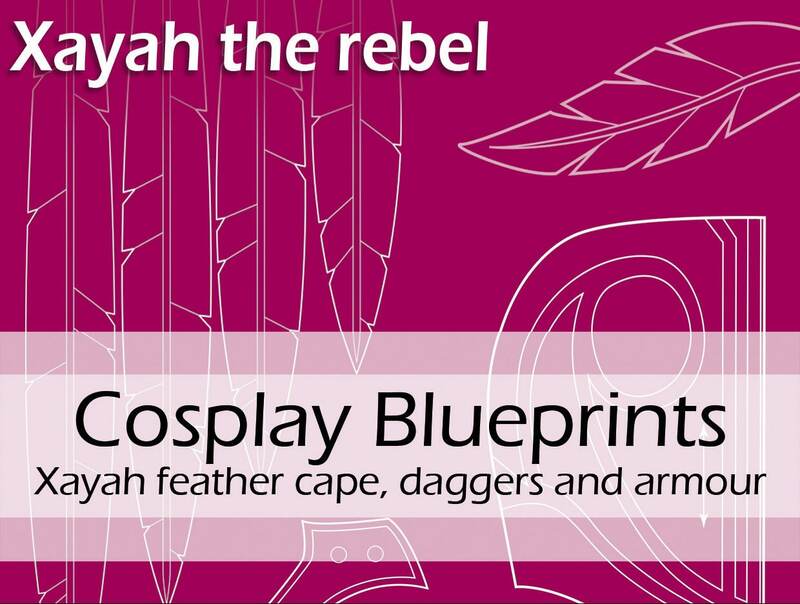 This is a digital (PDF) pattern of the cape, daggers and armor pieces of my Xayah cosplay costume. It was sent out as a Patreon reward in June 2017. Are you curious to find out which patterns I made and used for my Xayah costume?